BTI’s Rants and Ramblings: KSR Summer Storytime is Back! One of my favorite things I’ve ever done on this site is hand over my post to the readers during the summer. This will be the 4th year I have opened up my post on Fridays from the end of basketball season until the beginning of football season so you can get your best UK story out there. Because part of what makes this fanbase special is the stories. It’s the stories that carry from generation to generation. And it seems that many of the UK greats in all sports hang around Lexington and spend lots of time with the fans. Send your story as you want it posted to this email: [email protected]. It needs to be at least 2 paragraphs long but don’t write an entire book. Pay attention to spelling and punctuation as best you can. Attach a photo related to the story if you want but it is not required. I can either post you name with the story or I can leave it anonymous. But if you don’t tell me, I will post your first name on the story. No topic is off limits. It can be a funny, happy, sad, disappointing, good, or bad story. But something that you think it interesting and will stick with you forever. So start shooting me those stories and let the entire UK fanbase share in your enjoyment. It’s part of what makes it great to be a fan of this school. Today’s Kentucky Sports Radio will be an interesting one. 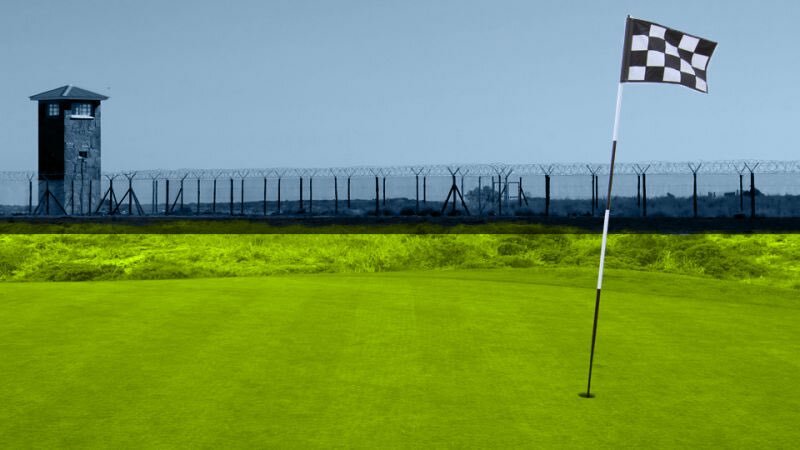 Matt Jones is giving Ryan Lemond a new twist on the hypothetical “Putt for Prison” game. Before that discussion they’ll talk about Kentucky basketball roster building, Jordan Brown, the Rupp Arena ticket changes and much more. Good morning, Wildcats! We did it – it’s finally Friday! Here’s to a smooth ending to your week. Let’s get it started on the right foot with some UK updates. While the activities start today, the actual game is set to tip-off Saturday at 8 p.m. inside the T-Mobile Arena. There will be a couple of future Cats in action: Tyrese Maxey, Keion Brooks Jr. and Kahlil Whitney each made the cut. Additionally, five-star forward and Kentucky target Jaden McDaniels will hit the court. McDaniels’ crystal ball currently has his hometown team, the Washington Huskies, as the heavy favorite, but he’s still one to keep an eye on during the game. Speaking of Keion Brooks… He made things official for the Wildcats yesterday. The five-star forward has signed his letter of intent, and he wasn’t the only one. Bucknell graduate transfer Nate Sestina also signed his name on the dotted line. Kahlil Whitney has not done so at this time, but he has his reasons. The Chicago native currently attends a basketball prep school in New Jersey, but he wants to wait and return home for his signing on May 3 so his friends, family and children in the community can witness his signing day. “My ultimate goal by doing that is to give them something inspiring to witness, hopefully,” he told Mass Live. Because he hasn’t officially signed, UK Athletics will not be able to post any updates about his performance, so don’t be concerned if you notice his exclusion from the UK Basketball Twitter account. He’s one of the only undeclared five-star recruits left in next year’s class, and he’s making his decision today. He’ll choose between Duke, Kansas, Kentucky and North Carolina, but, BBN, don’t hold your breath – all signs to point the Blue Devils for this one. Hurt will officially make his announcement at 4:15. If you’re celebrating Good Friday today – or if you just really like good deals on delicious seafood – remember to check out KSBar & Grille tonight. The restaurant will offer $5 off all of their best seafood dishes: the catfish dinner, the shrimp and grits dinner and the buffalo shrimp and fries meal. Speaking of KSBar… we’ve added some cool new memorabilia to our walls: a piece of Rupp Arena’s floor! Ravi Moss and Reid Travis were the first two former players to add their names. Who will be next? After a tough 2-4 loss to Tennessee last night, the Bat Cats will be back in action this evening for round two. First pitch is set for 6:30 Friday night inside Kentucky Proud Park, and it’s “beach town giveaway” night. What else could you possibly want? What? A beach towel isn’t enough to convince you to brave the potential rain? The game can also be viewed on SEC Network+, and we’ll have a full recap posted after the conclusion of the game. The series is currently tied at 1-1. They’ll play in Orlando tonight at 7 p.m. on ESPN. Boston leads the series 2-0. Will tonight be the night for the Pacers? They’re set to tip-off at home at 8:30 p.m. on ABC. The series belongs to Portland right now, as the Blazers hold a 2-0 lead. But the Thunder get a chance at home tonight – they’ll play at 9:30 p.m. on ESPN. After a historic comeback in Game 2, the Clippers weren’t as successful this time around against the Warriors. Golden State took Game 3 Thursday night 132-105. Coach John Calipari was in attendance to cheer on Shai Gilgeous-Alexander and, apparently, Keldon Johnson watched the action from the front row (although his hair looks a little different in Coach Cal’s picture!). As per usual, Johnson posted about it on, what else, his Instagram story. Matt seems pretty excited about today’s show… Trust me, he’s got a good idea up his sleeve, and you’ll want to hear all of the details. Tune in for a fun Friday edition of Kentucky Sports Radio from 10-noon. It’s going to be a good one! Over the last week, Hey Kentucky! has hit the campaign trail with three of the Democratic candidates for Kentucky’s Governor seat. Tonight, we close things out with our final profile, sitting down with current Minority Floor Leader and Gubernatorial candidate Rocky Adkins. Hey Kentucky’s Chris Tomlin caught up with Adkins at Hillbilly Days in Pikeville. Earlier this evening, KSR’s Maggie Davis wrote about Tyler Herro and Keldon Johnson playing HORSE with Matt on the full episode of Hey Kentucky! Matt plays HORSE with Tyler Herro and Keldon Johnson! Great gif, although Nate probably has no idea what to think. ORRRRRR…the Dogfather?? I think it sticks. I like it, not turrible. I, for one, say yes. Don’t forget the ad plug as well. I love everything about this, including Benny’s fashion sense. Somehow, Joe Buck will still make you fall asleep. Matt is undefeated at H-O-R-S-E against former Wildcats (sorry, Malik Monk). Will Tyler Herro and Keldon Johnson change that?! While they’re shooting hoops, Matt also interviews the former Cats. Who’s the funniest player? Who’s the best dunker? Oh yeah, and Johnson talks some smack. On the full episode, Matt is joined by our friend, Mary Jo Perino! They’ll discuss the day’s hottest topics. Plus, Chris Tomlin caught up with Gubernatorial candidate Rocky Adkins at Hillybilly Days in Pikeville. Check it out! Is Bellarmine finally making a jump up to Division I? According to WDRB’s Eric Crawford, they’re at least talking about it internally. When asked by Crawford about a potential jump, Bellarmine director for athletic media relations John Spugnardi declined comment, but did release a statement about a “strategic plan” the school has moving forward. Bellarmine’s men’s lacrosse team already competes at the Division I level, joining the Southern Conference back in 2005. Under head coach Scott Davenport, the men’s basketball team has become a perennial powerhouse, regularly finding itself ranked No. 1 overall in the nation, making the Final Four in 2017, and winning the NCAA Division II Tournament national championship trophy in 2011. That’s all folks? Maybe not. When asked about the trade status of disgruntled superstar Anthony Davis, newly-hired New Orleans Pelicans general manager David Griffin made it sound like keeping the 6-foot-11 forward isn’t off the table. According to Andrew Lopez of NOLA.com, Griffin said he is “excited about what (they) could potentially build” together in New Orleans. Griffin then took it a step further, saying that he plans on adding pieces around Davis in order to compete for “championships.” Yes, plural. Will Guillory of The Athletic added that while Griffin believes Davis will be open to sticking around in New Orleans, the new general manager wants him to either be all-in or all-out going forward. That will determine the team’s next move(s). Back in January, the former Kentucky star demanded a trade from the organization, and the entire situation has been a mess ever since. He was booed every time he touched the ball in his first time back out on the court after his request, tension grew between the Pelicans front office and the Los Angeles Lakers, and he walked into his final home game in New Orleans with a “That’s All Folks!” shirt. To put the icing on the cake, he flipped off a fan in the audience, which ended up going viral almost instantly. In seven seasons with the team, Davis has averaged 23.7 points, 10.5 rebounds, and 2.4 blocks per game over the course of his career. In 56 games this season, Davis averaged 25.9 points, 12 rebounds, four assists, and 2.4 blocks per contest. Griffin has done some pretty spectacular things and pulled off several surprising moves as a GM in the past, but does he have enough magic to convince Davis to rescind his trade request and re-sign in New Orleans? It certainly can’t hurt to try, but I don’t know where they would even begin in rebuilding those burnt bridges. We won’t hear anything for at least another month or two as the NBA Playoffs runs its course. From there, though, expect The Brow and his future to be the biggest topic of conversation going into the summer. Former Kentucky guard Maci Morris will have an opportunity to make her professional basketball dreams come true. Today, Morris accepted a training camp invite from the WNBA’s Washington Mystics with her eyes on a roster spot. Training camp will take place in early May in Washington, D.C.
As a senior, Morris averaged 15.1 points per game with a team-hight 75 3-pointers and 45.2 percent overall from deep. She finished her career ranked sixth all-time in scoring with 1,692 points, while her 252 career 3-pointers made ranks second all-time. Morris’ career mark of 41.1% from three ranks No. 1 in Kentucky school history. Back on April 11, ESPN reported on its main ticker that the Seattle Storm had selected Morris with the 36th and final pick of the WNBA Draft. Instead, it was actually South Dakota State’s Macy Miller who had been chosen. It won’t be with Seattle as she thought for a split-second on draft night, but she’ll still have her shot in the WNBA next season. Kentucky added a pair of new Wildcats to the 2019-20 roster this morning. Keion Brooks and Nate Sestina signed and submitted their paperwork, making their commitments official. John Calipari is still actively recruiting a few other players to add to the class. One player has committed, but not yet signed. McDonald’s All-American Kahlil Whitney will not join Sestina, Brooks and the rest of the class until May 3. Whitney plays prep school ball at New Jersey’s Roselle Catholic. He’s waiting to sign in front of friends, family and his community at an elementary school near his Chicago home. Typically, a delayed signing draws causes to concern. Whitney’s decision should encourage fans. Even at a young age, he is using his talent to make a difference in his community. Subscribe to @freshfocusports YouTube channel for more content on the way ? The Kentucky coaching staff has reached out to yet another transfer about joining the upcoming roster in Lexington next season. And it’s a player the Big Blue Nation should be fairly familiar with. Former five-star forward and McDonald’s All-American Jordan Brown signed with Nevada in the class of 2018, but after averaging just over ten minutes per game as a freshman, he’s ready to pack his bags and transfer elsewhere. Brown entered the transfer portal on April 11, and Kentucky was among the several schools to reach out right away. If you may remember, Kentucky was interested in Brown back in the summer of 2017, and then again when UK’s frontcourt situation was up in the air with potential NBA Draft departures last spring. When word broke out on Tuesday evening that Kentucky had reached out to Virginia Tech graduate transfer Kerry Blackshear Jr., I was also told that Kentucky was in contact with Brown and his camp, though I was asked to keep it quiet until they were comfortable listing the initial schools on his list. Brown, who averaged 3.0 points and 2.1 rebounds last season with the Wolfpack, will have to sit out a year due to NCAA transfer rules before he is eligible to play. Because of this, I’m told that Kentucky would be interested in bringing in both Brown (as a practice player) and Blackshear (or another big-name graduate transfer) for next season. KSR’s Aaron Torres, who also has a bit of new information on Brown, will be giving us a report in just a bit. For maybe the first time, Benny Snell was star-struck. Kentucky’s all-time leading rusher made his first trip to Keeneland today to see the horse that bears his name make its racing debut. Unfortunately, Snell Yeah was scratched with a mild cough. Even though the horse did not run, Snell was elated to meet the thoroughbred. Once he got all of the grunts out of his system, Snell shared a few more eloquent lines with LEX-18’s Charlie Walter. Never change, Benny. Never change.